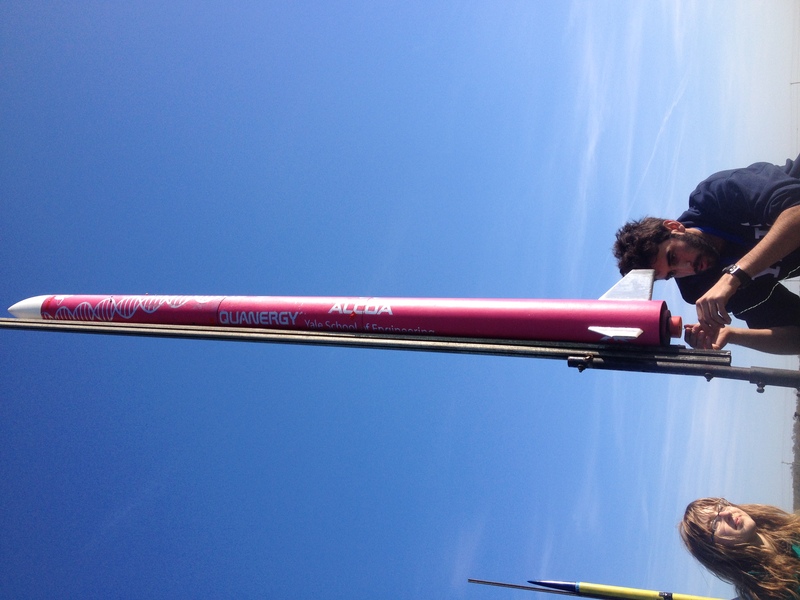 Red Glare: Rocket Team’s First Launch of the Year! This past Saturday, 9th April, members of our rocket team travelled down to Maryland to participate in the Red Glare launch hosted by the Maryland Delaware Rocket Association (MDRA). Along with over a hundred other groups, our team wished to launch the rocket they have been working on all year, affectionately named “Ziggy Stardust”, in order to test the launch, recovery, and payload systems before the Intercollegiate Rocket Engineering Competition to be held this summer in Utah. 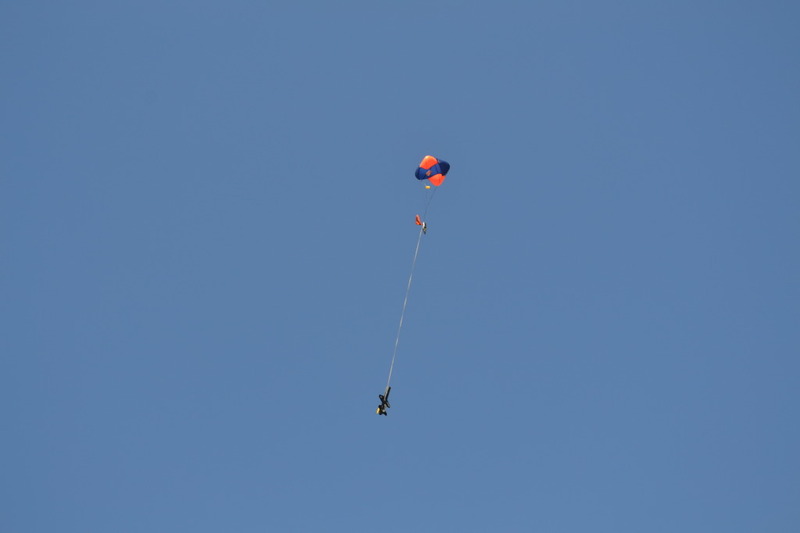 Although bad weather conditions prevented them from launching on Saturday, the team was able to successfully launch Ziggy on Sunday. Final assembly before launch. Ziggy is ready to go! The final launch went off extremely smoothly – the rocket went up straight as an arrow and achieved a maximum altitude of 8,500 feet at apogee, exactly as predicted by simulations. 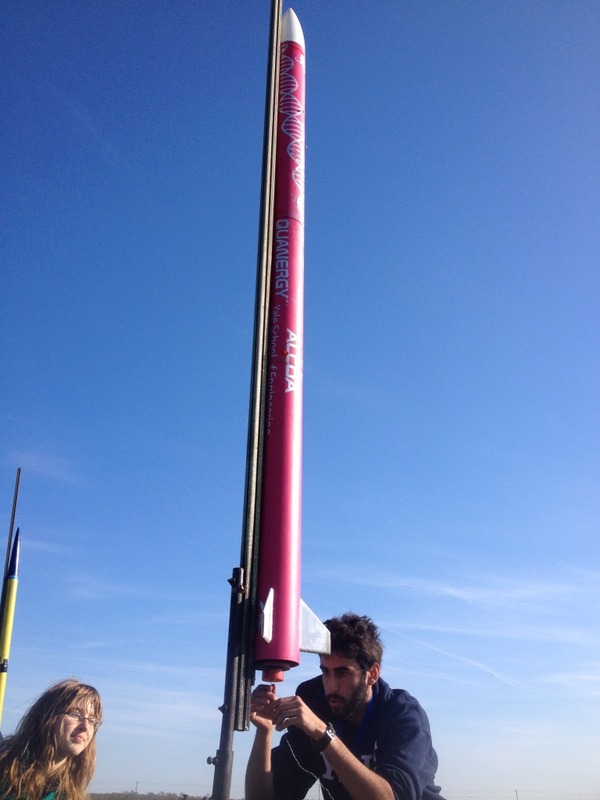 This also marks the highest apogee achieved by any of the single stage rockets YUAA has ever built! 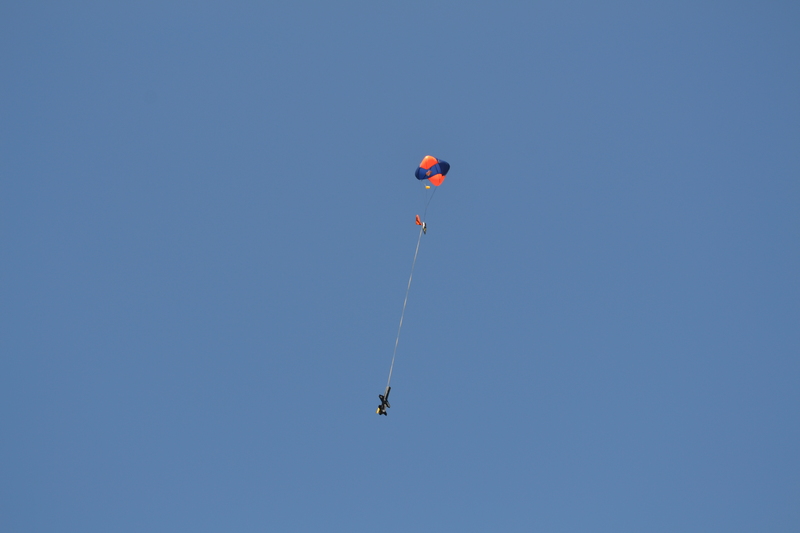 Parachute deployment also went off without a hitch, and the team was able to recover the rocket without any damage to it during the landing. Coasting down to earth after a successful launch! 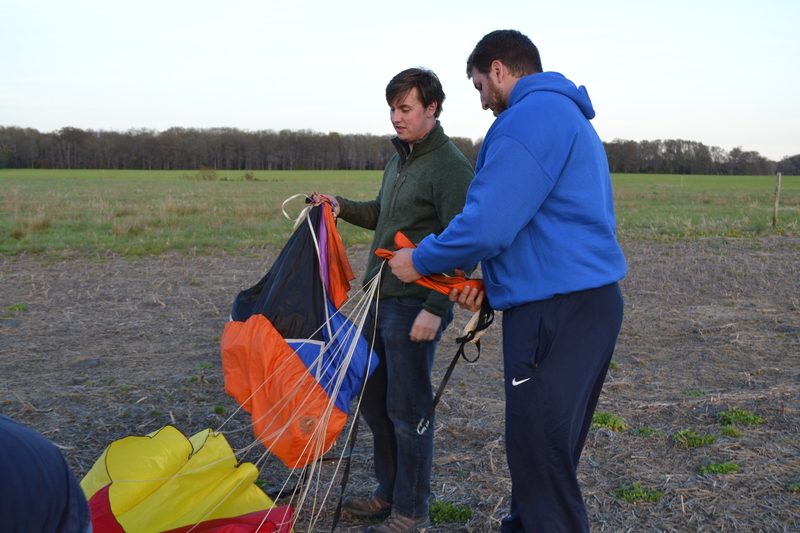 Team members packing up the parachutes after recovering the rocket. 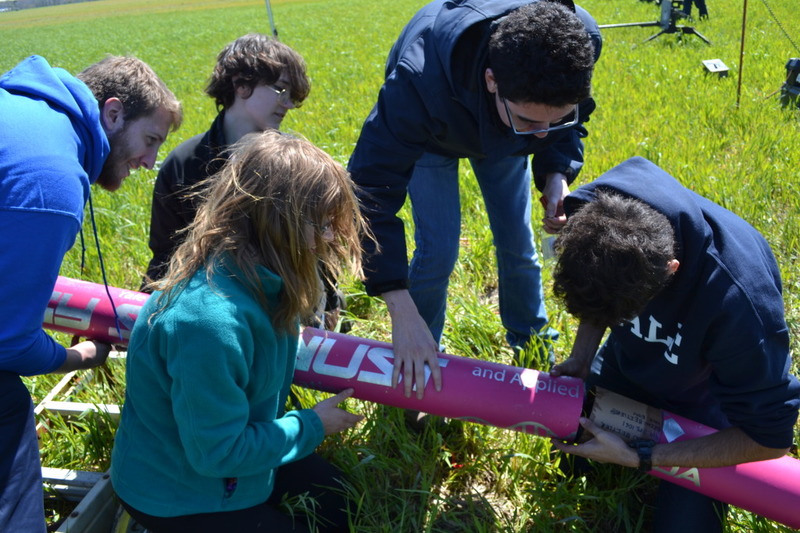 In one of YUAA’s most successful launches to date, the rocket team reaped the rewards of all the hard work they have been putting in all year. Now they will move on to analysing the air samples collected by the payload to test for the presence of microorganisms in the atmosphere and to make sure their PCR and DNA sequencing systems are in place for the summer. Looking onward to IREC and Utah in the summer!